Four people died when gunmen raided a hospital and burnt it to the ground in western Cameroon where anglophone separatists have been fighting troops. 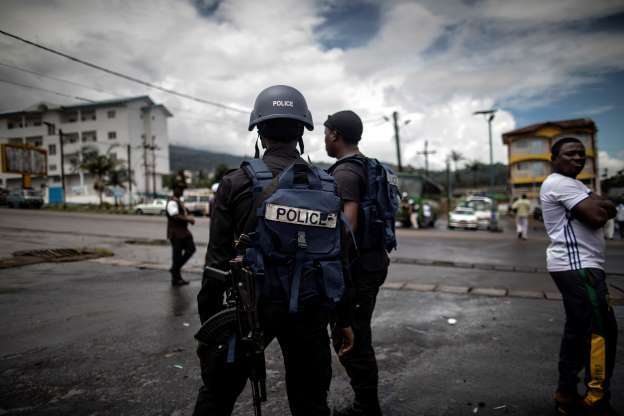 The incident occurred in Kumba, a town which serves as the commercial hub for the anglophone region and which has been badly hit by the violence between separatists and Cameroon troops that began in October 2017, witnesses and a local official said yesterday. Another local source said it appeared separatists were behind the attack. The incident occurred on National Youth Day, the anniversary of the 1961 referendum which saw Cameroon’s western English-speaking areas joined onto the francophone areas which had just won independence from France. Kumba lies about 70 kilometres (45 miles) north of Buea, capital of the Southwest region which along with the Northwest region is home to an anglophone minority that accounts for about a fifth of the country’s population. Both areas, which were once ruled by Britain, have long complained of discrimination at the hands of the French-speaking majority and where separatists are fighting for independence.